Dental implants have been in use for many years, and are a very popular treatment option for missing teeth. 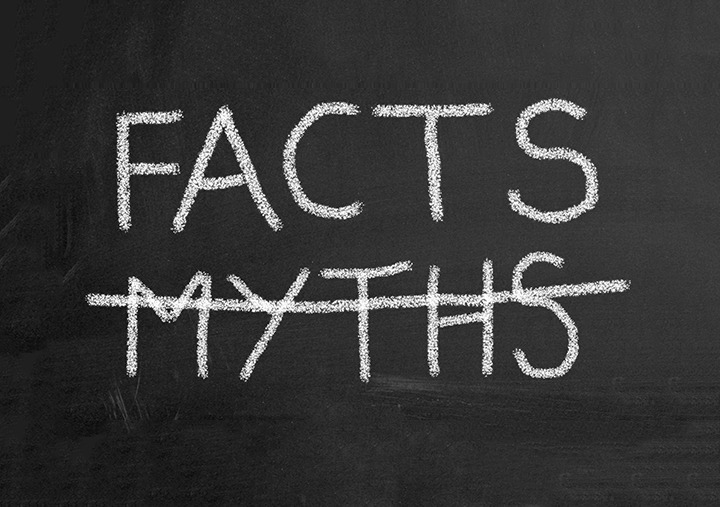 Although they are quite common, there still are certain “myths” surrounding dental implants. Implantologist, Dr. Kamal from our Mirdif branch addresses these misconceptions. FALSE! Most of the patients feel the procedure was easier than they anticipated and more simple when compared to other dental procedures.Any pain that is experienced by the patient depends on the unique situation of the individual, the healing ability of the patient and finally the skill and training of the Implantologist.Pain should not be a factor in the decision making process. It is important to choose the treatment that will give the best result. FALSE! Dental implants do not cost much more than an average three-unit tooth bridge.The long-term cost for having an implant is much lower when compared to a dental bridge, as a bridge needs to be replaced every 7-15 years. A dental implant will most likely never need to be replaced. FALSE! An implant usually takes 2–4 months, over this period there will be 4-5 appointments. A bridge takes 3 – 6 weeks. It is a short term sacrifice for a long term benefit.Bone by nature, takes a while to heal. The bone around a newly placed implant has to mend. A bone graft, may or may not extend the amount of time it takes for healing. FALSE! Implants are the best choice for elderly patients. It is important to have fixed and rigid replacement of teeth to chew food better. The removable prosthesis like partial/complete dentures are low in functional efficiency by at least 50%. FALSE! Dental implants are a treatment option for patients with systemic diseases. However, individuals who are taking drugs for cancer treatment or long term corticosteroids are not eligible to have dental implants. FALSE! Medical grade titanium is used to manufacture implants, similar to the material used in knee joint replacement, hip replacement etc. Titanium is a proven biocompatible material that easily integrates to the bone. Infection in the bone can be caused by operative problems or because of post operation neglect, not because of the implant material. Allergies to titanium, though a theoretical possibility, is not frequently seen. Previous post: How can I prepare my child for their first visit to the dentist? Next post: What are the Causes of Bad Breath?